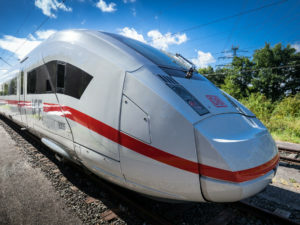 During its regular meeting in Berlin on Wednesday the supervisory board of Deutsche Bahn AG asked the company’s management board to press ahead with different options for an Arriva sale. The passenger transport company, based in Great Britain, is a fully-owned subsidiary of DB. Deutsche Bahn acquired it in 2010. Last year Arriva generated a turnover of 5.44 billion euros (6.12 billion USD) and employed 53,000 people full time throughout Europe. According to the supervisory board’s decision the management board is to investigate the sale of up to 100 percent to one or more investors. The company will further look at a stock market launch. The different options of a DB Arriva sale would contribute to limiting the rise in the level of debt. They would also put Arriva in a position to generate further financial wiggle room for growth. The management board it to keep the supervisory board up to date about the transaction.